Eico Alterior Eggshell is a high quality waterbased paint which is manufactured using 100% pure acrylics*. It dries to a non yellowing flat finish and has excellent colour retention properties. Eico alterior satin is easy to use, had a high opacity and will even adhere to aged alkyd (oil based) paints. It also boasts low dirt pick-up, good weathering properties and is washable. This is an environmentally friendly product which gives off very little odour and is APEO free. View online colour card - Colours online can vary wildly depending on screen. 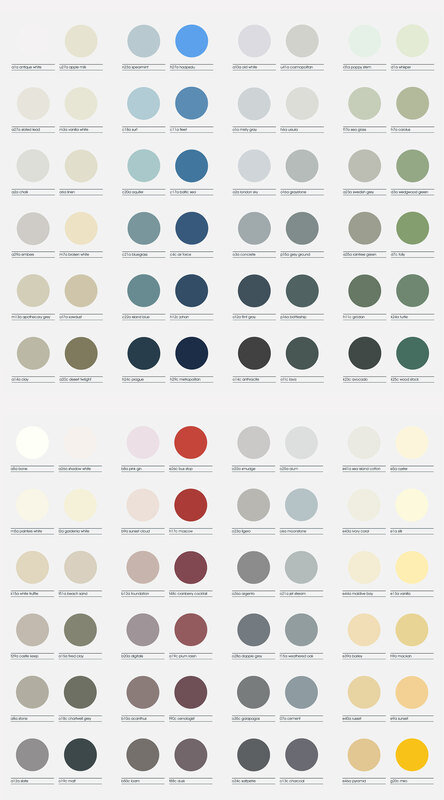 We always recommend using a physical colour card and where available ordering a sample pot. Substrates: Concrete, masonry, cements, rendering plaster, plaster board, lining paper, glass fibre, woodwork (primed), etc. Ensure Surfaces are stable, firm and free from contaminants. On rough surfaces, you can dilute the paint with upto 10% clean water. Air temperature should be over 5º C, preferably above 10º C and relative humidity below 85% above, during application and drying. Temperature of surface should be between 5 and 35º C.
Drying time: 2 – 3 hours (touch dry) (Depending upon temperature and relative humidity). *100% pure acrylic produces a superior quality paint. Even though it requires large amounts of energy to create pure acrylic, Eico paints are produced in a factory where the energy comes from 100% free geothermal and hydro-power energy. This means that not only can they control costs, but also the manufacturing process is carbon neutral. Click the button below to add the Eico - Alterior Eggshell to your wish list.